M3V Series valves are available as piloted, single or double solenoid valves. These valves are 3-way, spool style valves. The port sizes include 1/8" NPT, 1/4" NPT and 3/8" NPT. 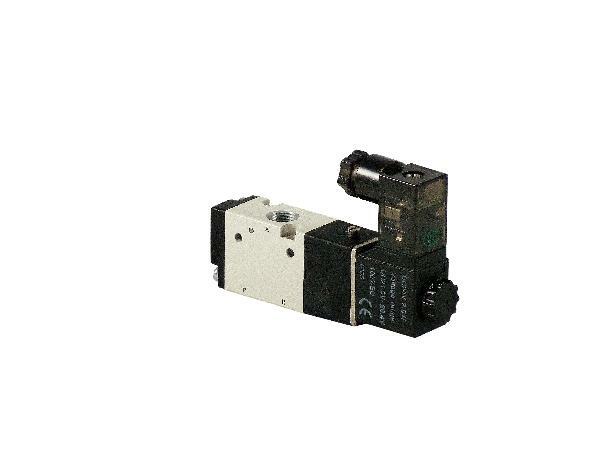 The M3V series valves are used in individual valve applications or multiple valves can be assembled together on a manifold to share supply air which simplifies the piping. Click here to see a M3V CAD models.